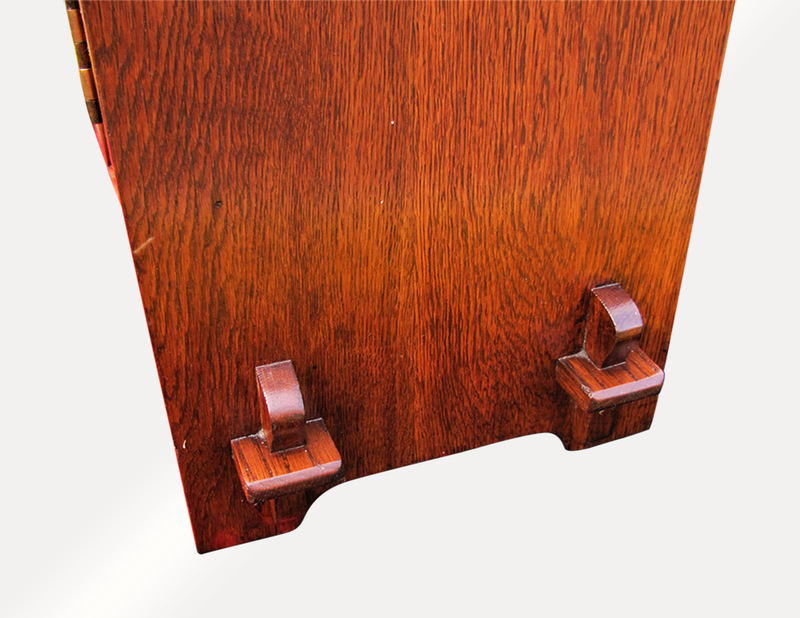 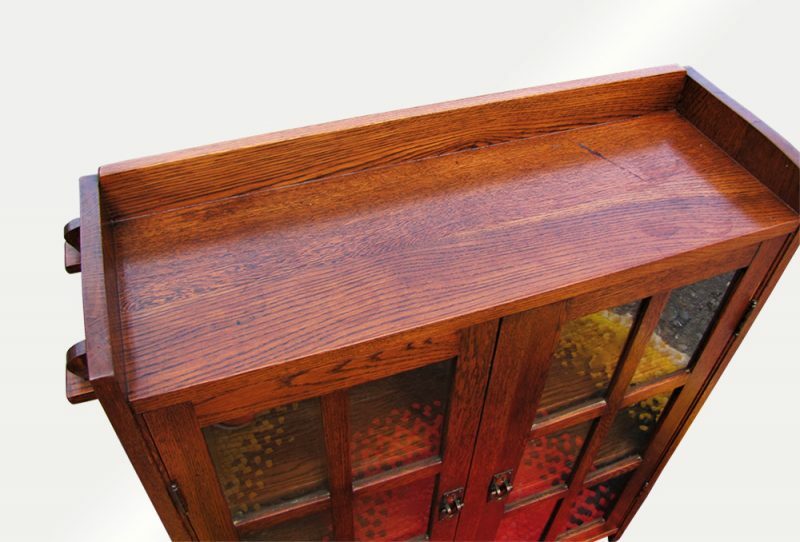 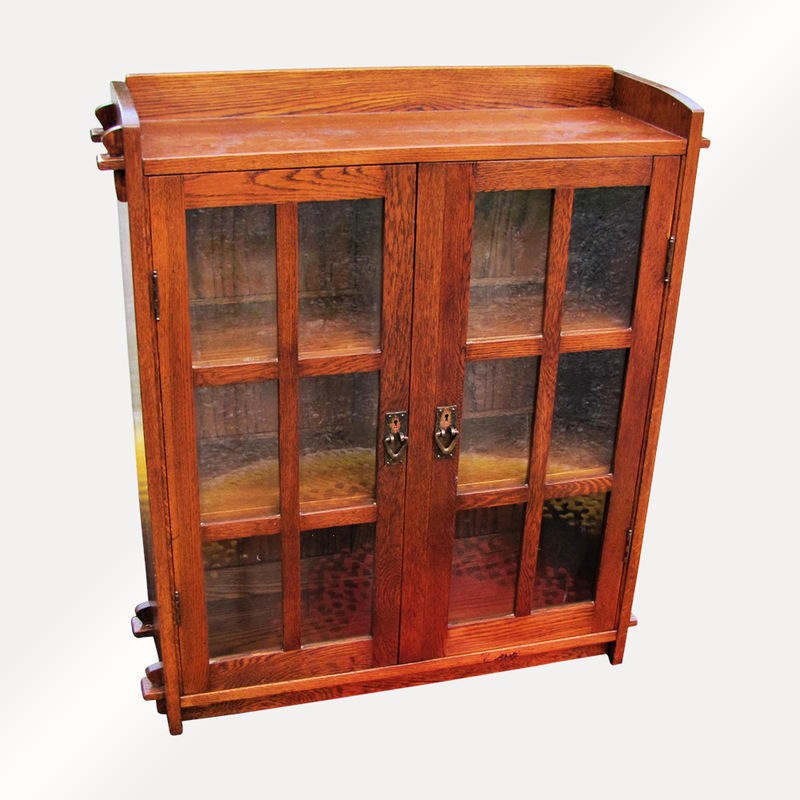 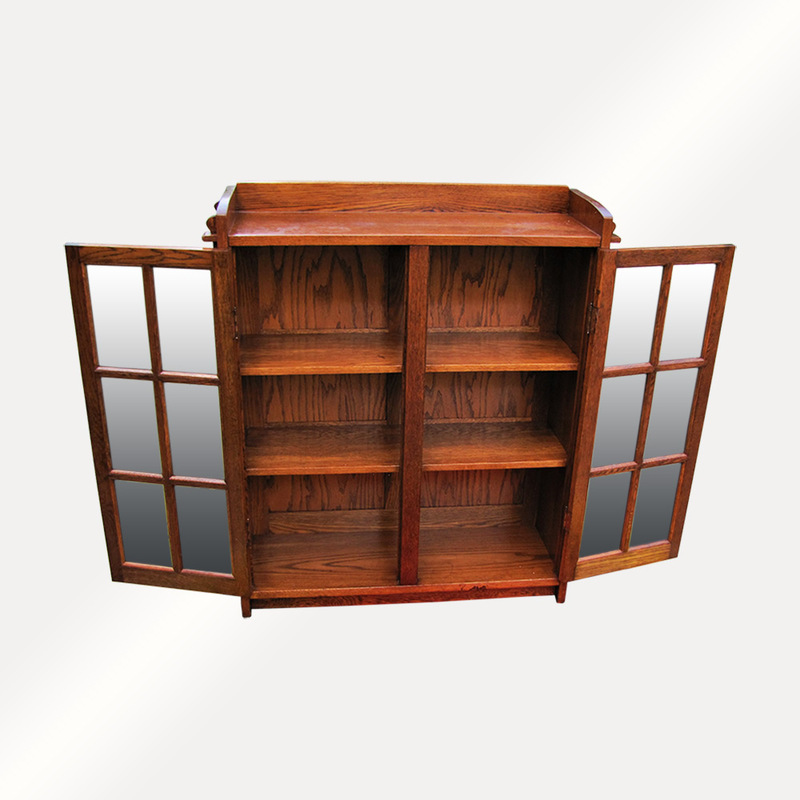 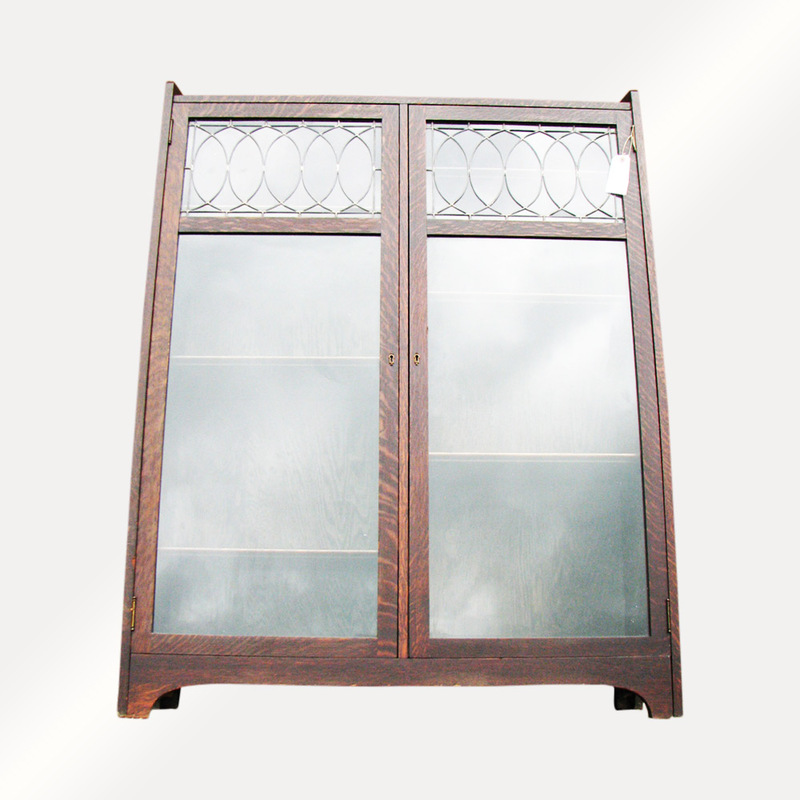 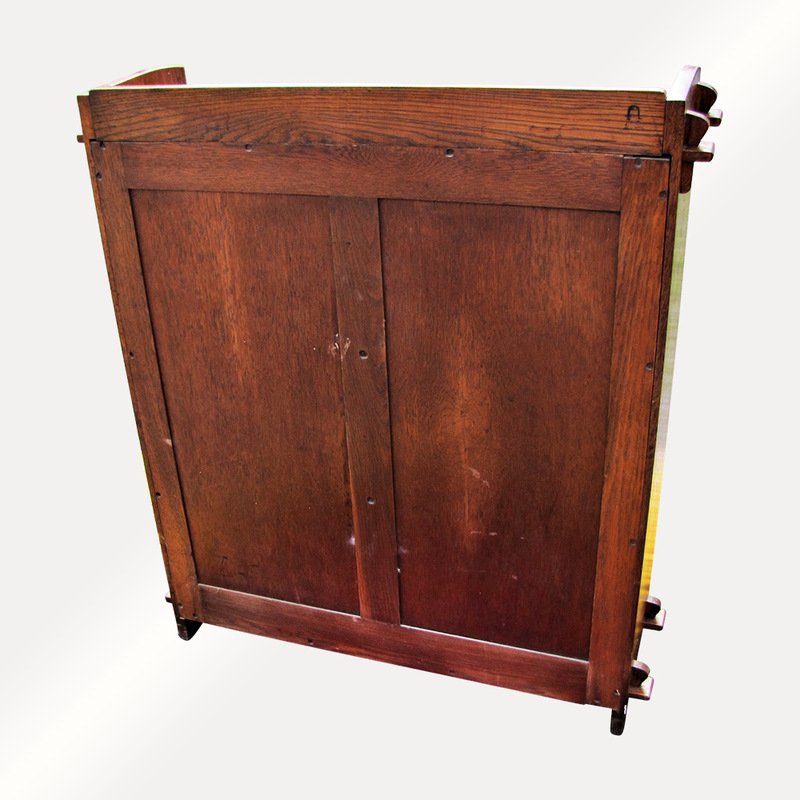 This is a Rare Antique Small Gustav Stickley Two Door Bookcase from 1912-1915. This is a rare small size bookcase that is in very good condition. 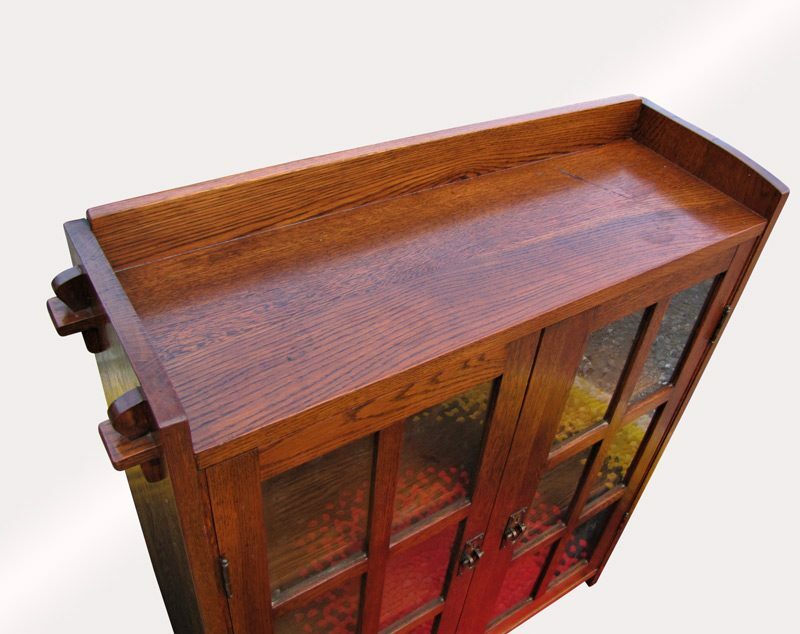 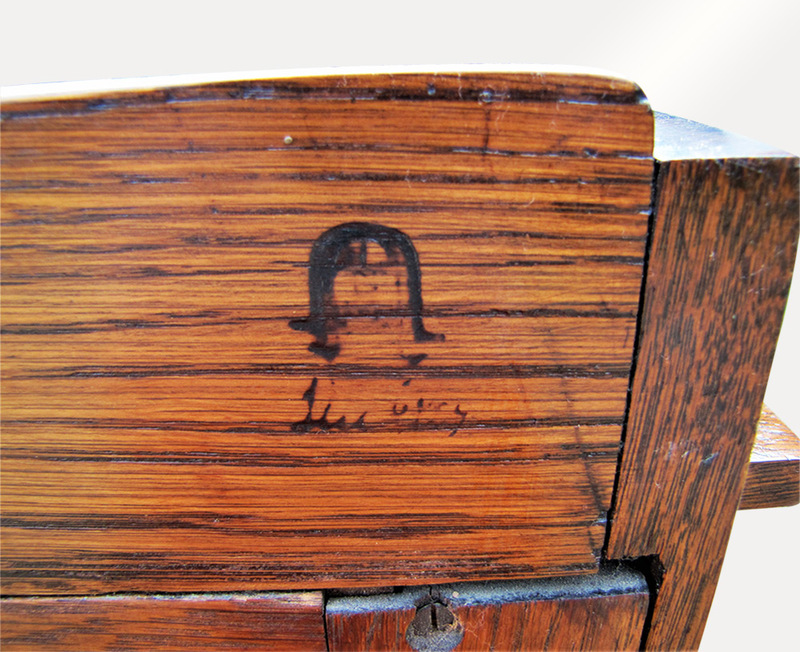 It was constructed with keys and through tenon design and all of the keys are original. 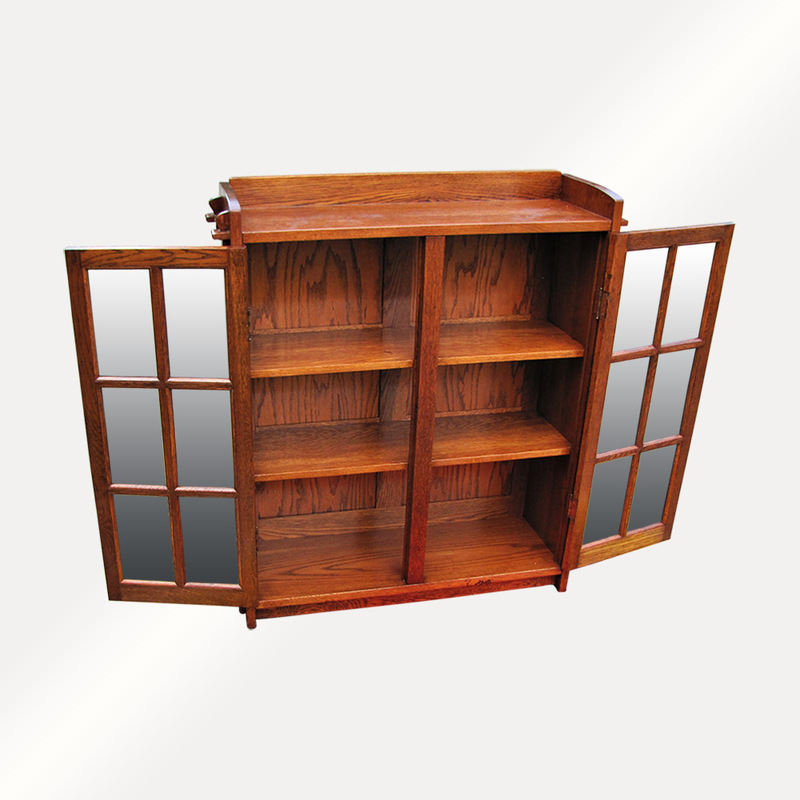 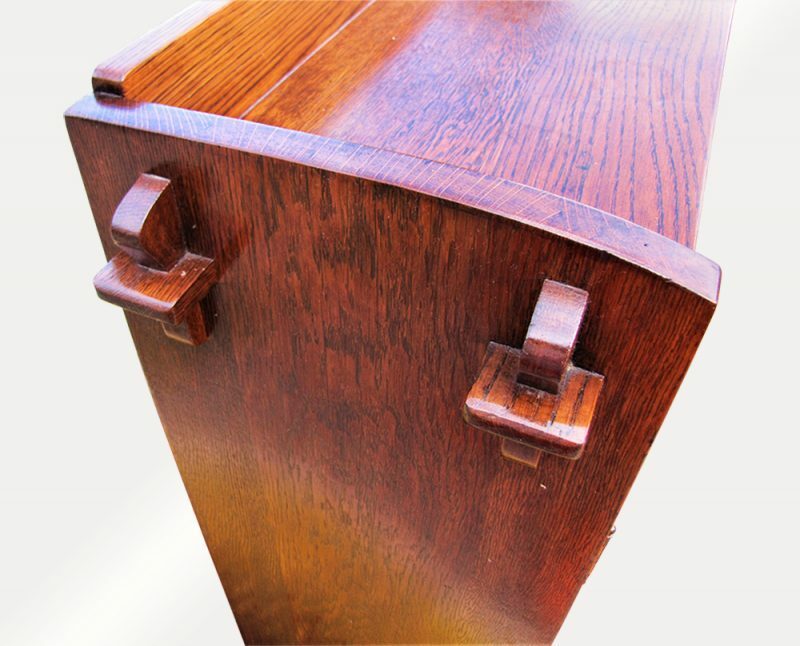 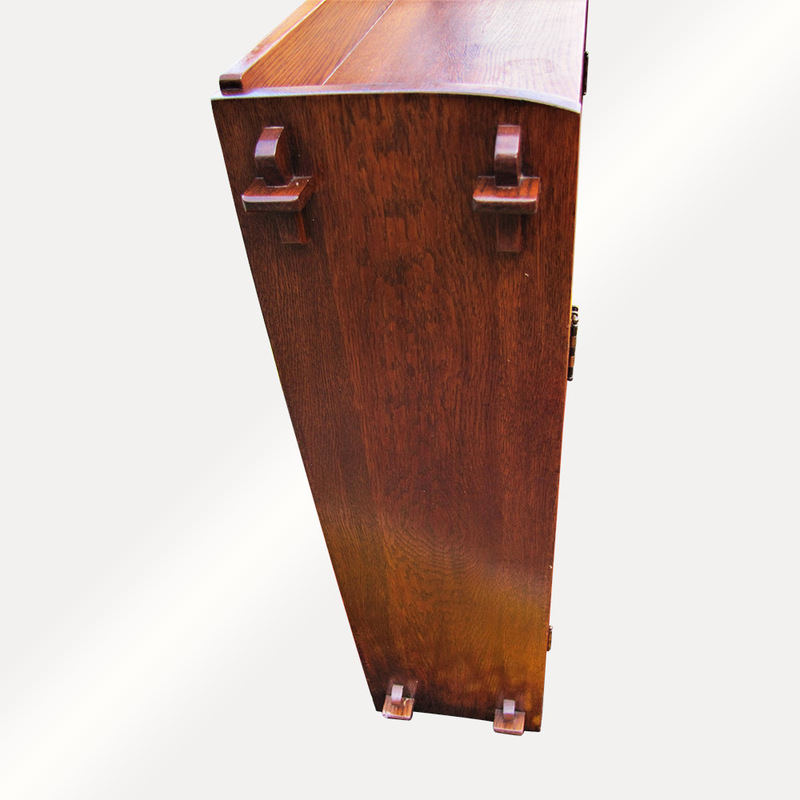 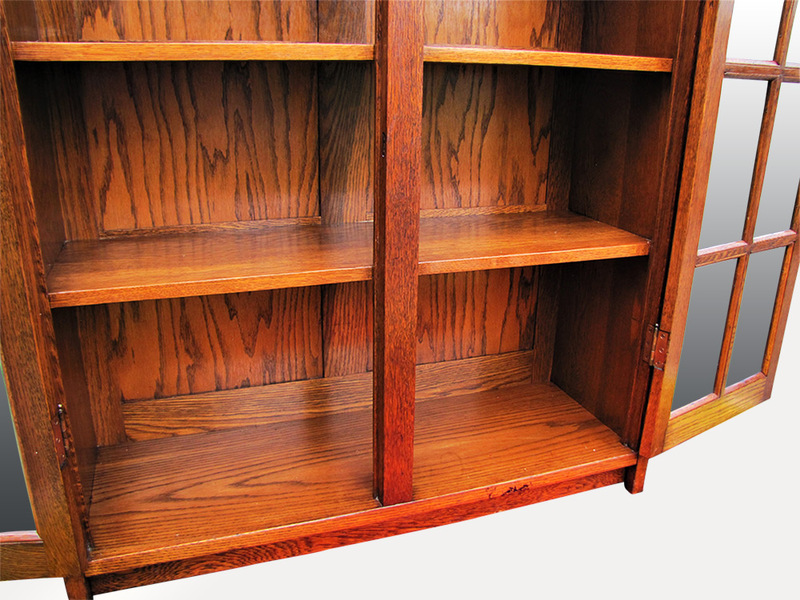 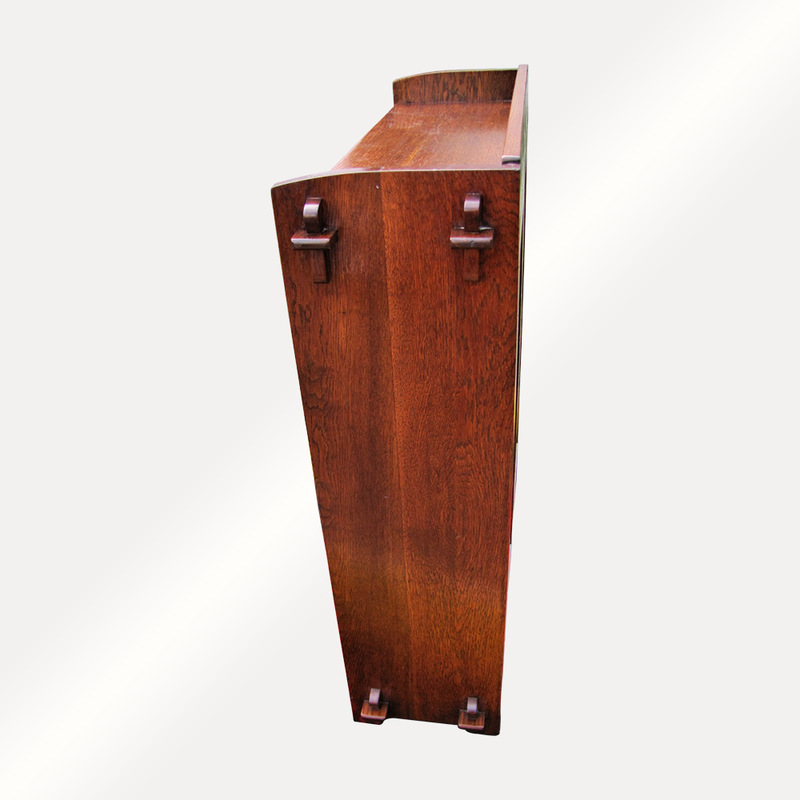 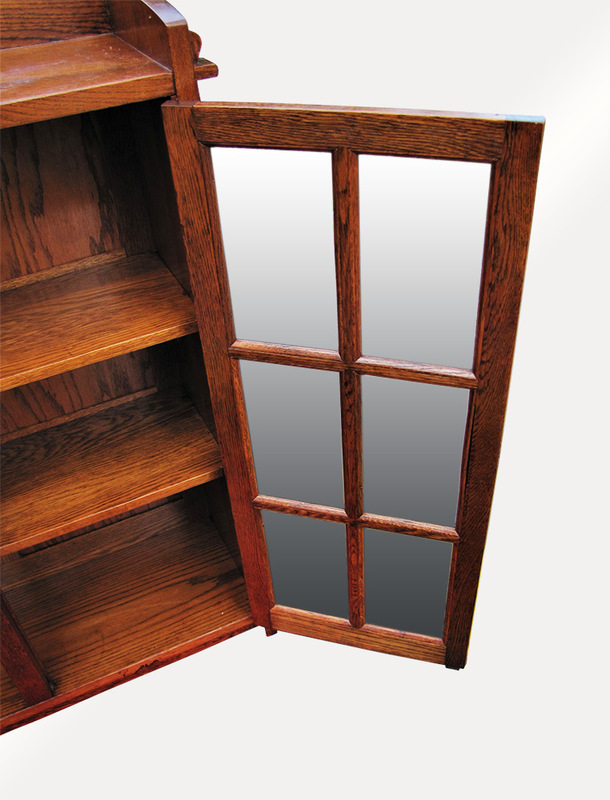 The bookcase has the original finish with a light overcoat. 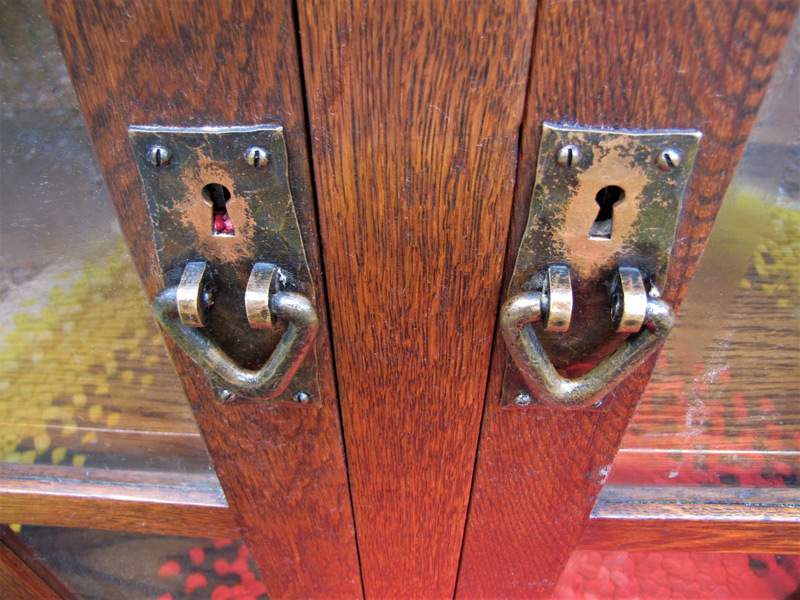 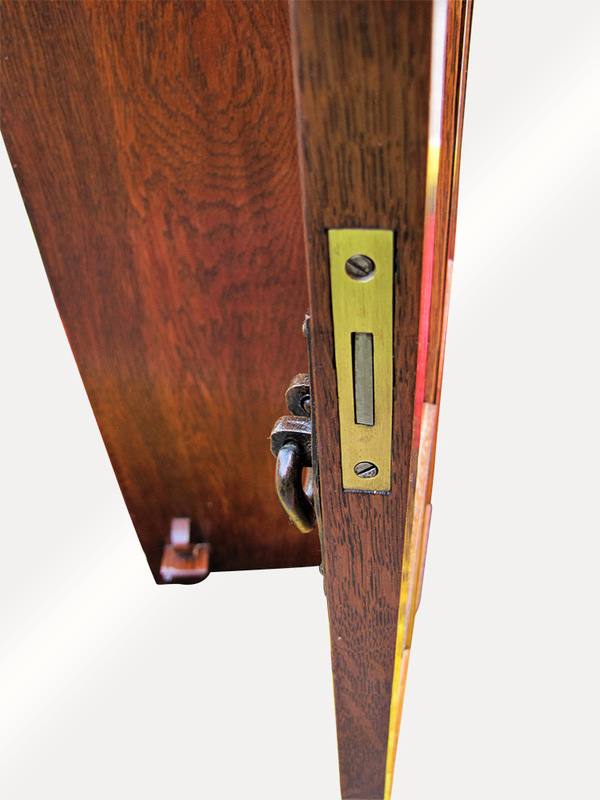 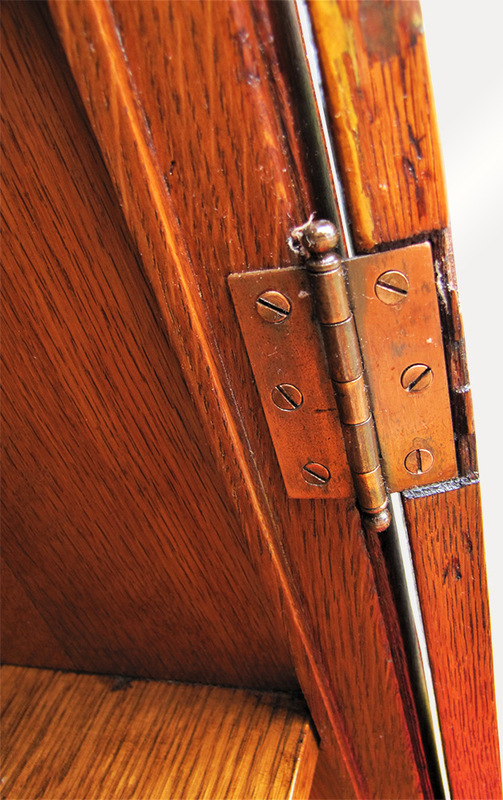 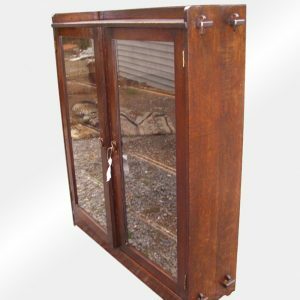 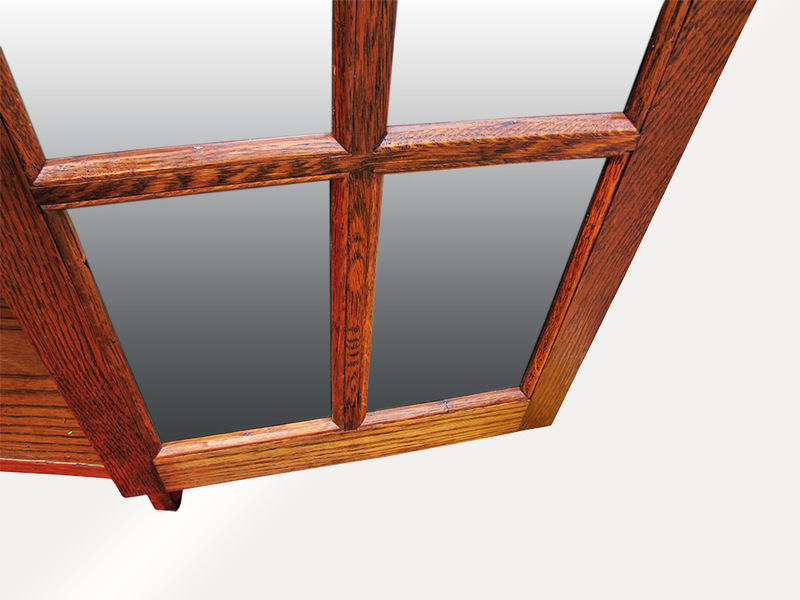 Each door has six panes of glass and the pulls are original Gustav Stickley iron v pulls. 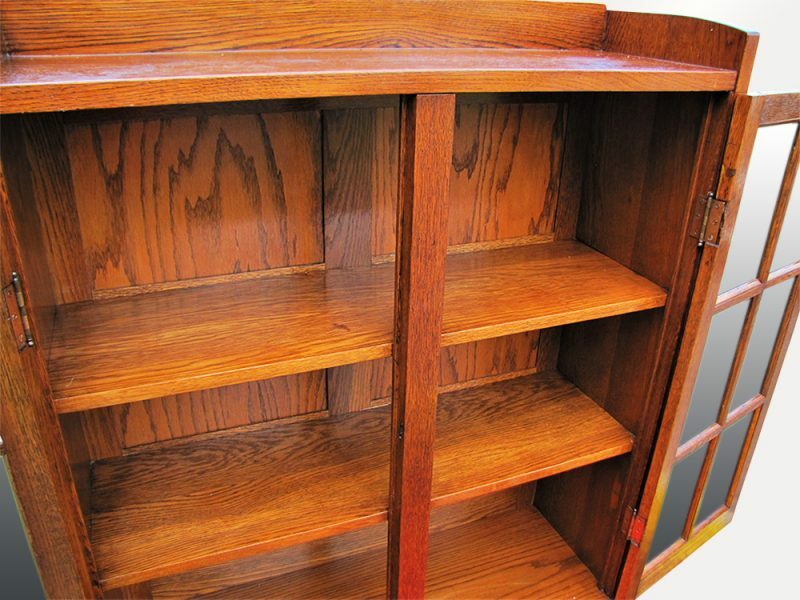 As you can see the inside has three fixed shelves and on the back, there is a black decal. 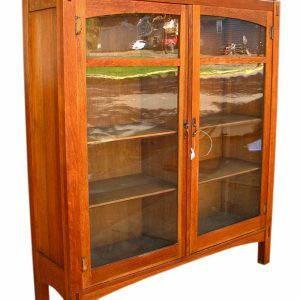 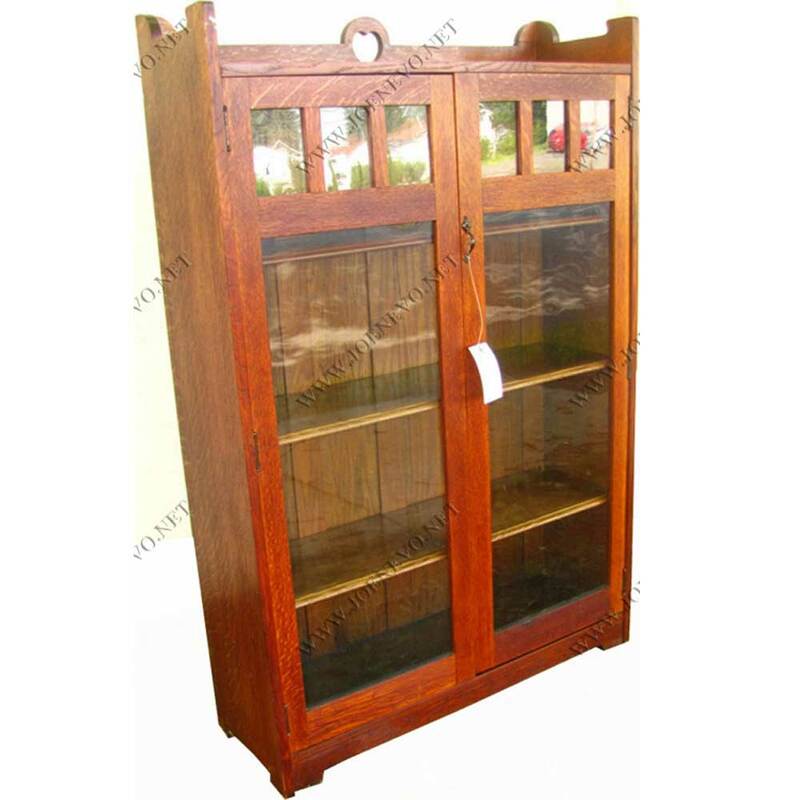 This bookcase is sturdy and strong and it is ready to be used in your home or business.